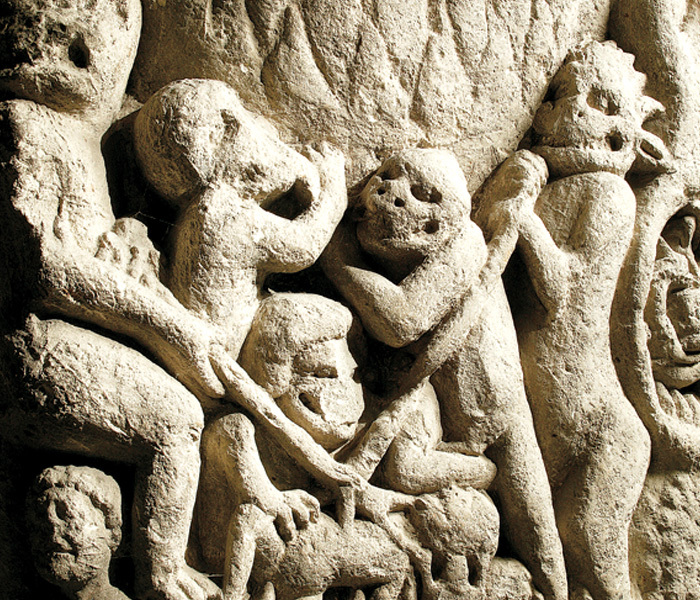 The 300,000 objects that make up our collection each tell fascinating stories about York Minster’s past and present. From textiles to silver, books to archaeology, our objects were brought here to enhance or understand our faith. Many are still used today and surround you when you enter the Minster. Our story isn’t finished, so we are still adding to our collection. If you have something you think would add to the story of York Minster we would love to hear from you. Please contact collections@yorkminster.org and we would be happy to discuss this with you. Here’s a link to our Collections Development Policy which explains the kind of things we can accept. The collection is divided into the following three areas. The objects in our collection are diverse, from the semaphore saints who sit above the West Doors to Anthony Babington’s rosary on display in the Undercroft. Our oldest objects date back to the Roman Fortress that sat on this site almost 2,000 years ago. You can see some of these objects on display in our Undercroft Museum , the only accredited museum in a cathedral in the country. Or learn more about our objects and the stories they tell under Stories or by exploring our online catalogue. Our collections and our catalogue are always growing, so please keep coming back. Our library is the largest cathedral library in the country, with just over 90,000 volumes. It holds the historic printed collections of the Chapter of York dating back to the 1470s, as well as being a modern reference and lending library. Our books cover a wide range of subjects including local history, early York printing, Civil War tracts, theology through the ages, church history and architecture. Modern books include theology and the history of the Minster and the city. 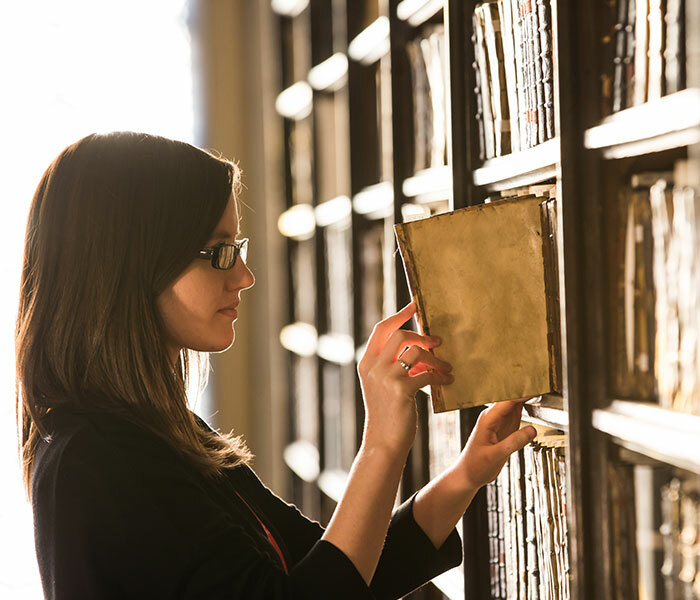 You can search our online catalogue via the University of York or via Copac, a website which contains the holdings of the UK’s national libraries. 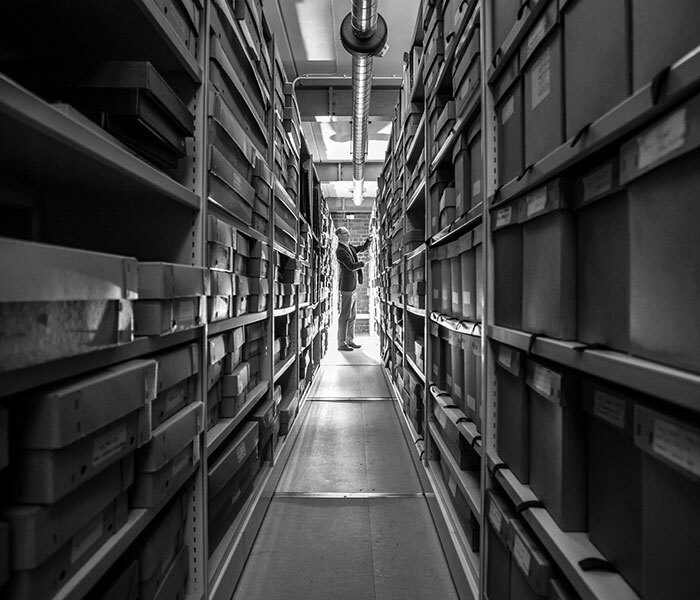 Our collection of records and manuscripts dates back to the year 1000, and occupies a kilometre of shelving. We hold the records of the Chapter of York including the fabric rolls which list how the Minster was built. We also hold prints, plans and drawings of the building and surrounding land. Our manuscript collection spans 1,000 years, with examples on display in the Undercroft including the York Gospels. Not all of our collections are online yet but you can see a list of our holdings and finding aids by downloading the Accessing the Collections document below. It is possible to view most objects in our collection by appointment. We also offer services including imaging and research. For a full list of our services and charges, click download below. Please see our precinct map for further details. The Old Palace is open for collection viewing Monday to Friday, 9am to 5pm.